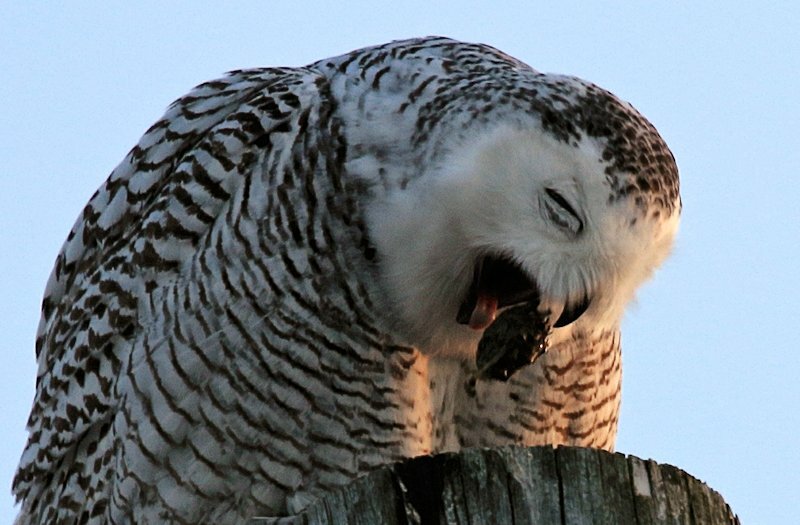 Several hours after an owl eats, the indigestible parts of the prey are compressed into a pellet. This pellet travels up from the gizzard back to the proventriculus. It will remain there for up to 10 hours before being regurgitated. Image © Leslie Abram.